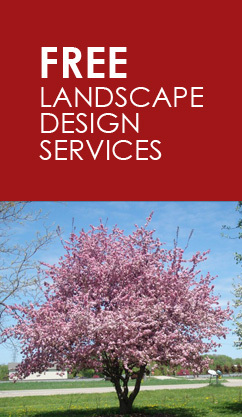 Here at Sunny Gardens we offer Free Design! Simply bring in pictures and measurements of your project and well give you some on-the-spot design ideas. We have a large selection of quality plants that is constantly changing with great prices and honest, helpful staff…come see us today! We have everying under the sun! Evergreen Trees, Shade Trees, Flowering Trees, Shrubs, Hedges, Ornamental (Weeping Trees, Unique Plants), Perennials, Annuals (Hanging Baskets, Flats, Patio Pots, etc.) We also have Bark, Mulch, Color enhanced Red, Gold or Brown, Cedar, Wood Chips, Stone, Topsoil, Compost, etc.